Two (2) Dialysis Treatment Stations in this One (1) Highly Maneuverable and Compact, Mobile Dialysis Truck! This mobile dialysis clinic is the finest and most maneuverable mobile dialysis unit on the market. This particular Dialysis Facility is specially designed to provide premium dialysis care to patients suffering from renal disease. Critical renal hemodialysis treatment can be performed efficiently and effectively in this small, yet roomy, 20′ (6M) mobile dialysis vehicle. The most common means of treating permanent kidney/renal failure is by Hemodialysis. This mobile dialysis clinic has a highly advanced system for kidney failure treatment by hemodialysis. Mobile Healthcare Facilities’ mobile dialysis clinics have the same capabilities as any brick and mortar dialysis treatment clinics in the United States. 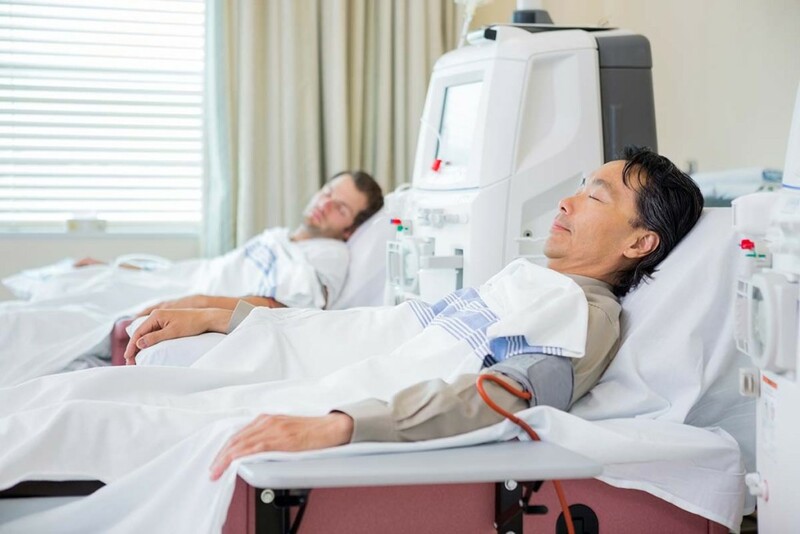 Our dialysis clinic meets or exceeds all US codes for a dialysis treatment facility. Our ability to make the facility mobile, gives you the advantage to utilize this dialysis clinic in many different ways and to many different locations. With this facility, you are now not tied to one (1) location. You now have the ability to bring the clinic to the patient. This now allows for critical renal treatment to be available to patients in vary remote locations. This dialysis care clinic is expertly engineered and capable of treating multiple patients per day over many years. With its heavy-duty chassis, high ground clearance, and 4-wheel drive off road capabilities, it can now provide this critical dialysis treatment to very remote locations. We can also add winches to both the front and back for additional off road capability and support. Mobile Healthcare Facilities’ Mobile Dialysis Unit is highly technical and maneuverable and when it arrives at its destination, is capable of being set up and struck by four (4) people in less than fifteen (15) minutes. This mobile dialysis truck is all aluminum and it has two (2) expandable walls. These expandable walls provide the required interior working space for all of the required equipment, supplies, and personnel. Inside this facility there are two (2) patient dialysis treatment stations, a water treatment room, and a nurse’s station. The treatment capabilities, for this mobile dialysis unit, consist of two (2) patient dialysis stations. These stations are specially designed and equipped with the highest quality dialysis equipment on the market. Our dialysis equipment performs the following dialysis operations: 1) Pre-Treatment of incoming potable water (for the reverse osmosis machines); 2) Reverse Osmosis water treatment with heat sanitation (for the individual dialysis machines); and 3) Patient Dialysis Treatment (Your choice of top line dialysis machines (Fresenius, B. Braun, Baxter, Gambro, Renatron, or Zyzatch)). In addition, each treatment station has a patient dialysis reclining chair and an Individual Entertainment System. 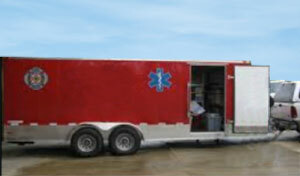 To see the floor plan and pricing for this Mobile Dialysis Unit (20')(6M), Click on Button Below! 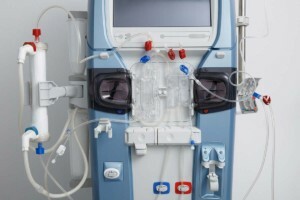 Why Mobile Healthcare Facilities’ Mobile Dialysis Unit? Two (2) patients can be treated at the same time. There is a need to perform kidney dialysis treatment on people living in remote locations. You have a responsibility to provide dialysis treatment as part of your outreach program. 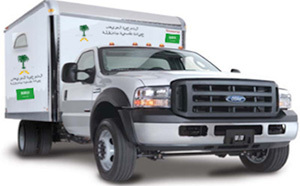 We are the only company who can provide you with this small and highly mobile dialysis treatment vehicle. We typically blow our competitor’s price out of the water! Compare and you are sure to see that this Mobile Healthcare Facilities’ Mobile Dialysis Unit is the right solution for you!